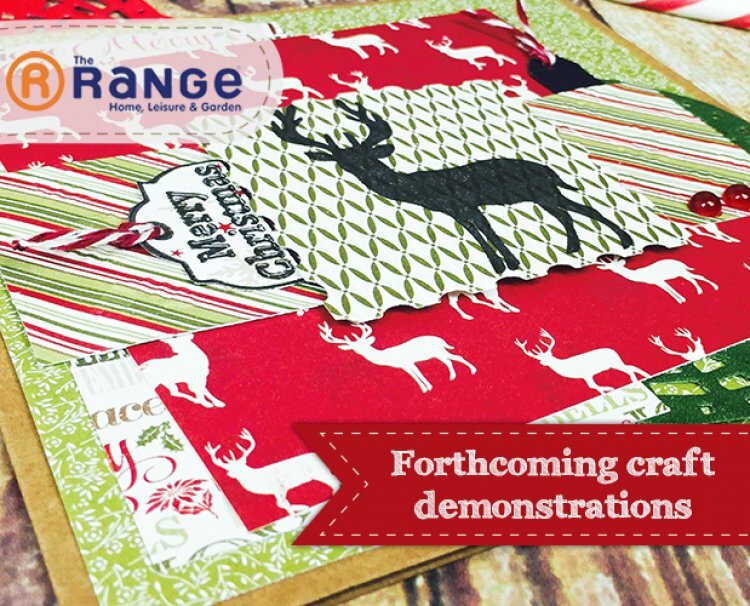 Our craft demonstrators are up and down the country this weekend showing off the new Christmas craft collections from Trmcraft including Dovecraft Back to Basics, Glad Tidings and North Pole. Check if there is a local demonstration near you to enjo below! We are looking forward to seeing you at one of our demonstrations. Our craft demonstration team is here to give you helpful crafty hints and tips so come with any crafty questions you need answering! Next week's demonstrations are at The Range Blackburn, Corby, Ipswich, Southampton, Wigan, Worthing, Chatham, Eastbourne, Dundee, Kings Lynn, Maidstone and Sunderland store.